A trip down the Penobscot River, your way! Raft through Maine’s Beautiful Katahdin Wilderness on the Penobscot River. Spectacular scenery and thrilling whitewater await you on the best Penobscot River rafting trip in Maine! We run a classic top-to-bottom river rafting trip, unlike other outfitters. 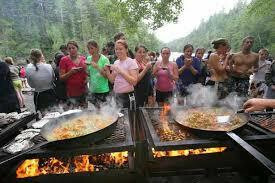 Our only stop is for a grilled riverside lunch between the upper and lower sections of the Penobscot River. young children, take a relaxing tubing trip down the Penobscot River. Drift down Maine’s Beautiful Katahdin Wilderness on the West Branch of the Penobscot River. Spectacular scenery and outstanding views of Mt. Katahdin. 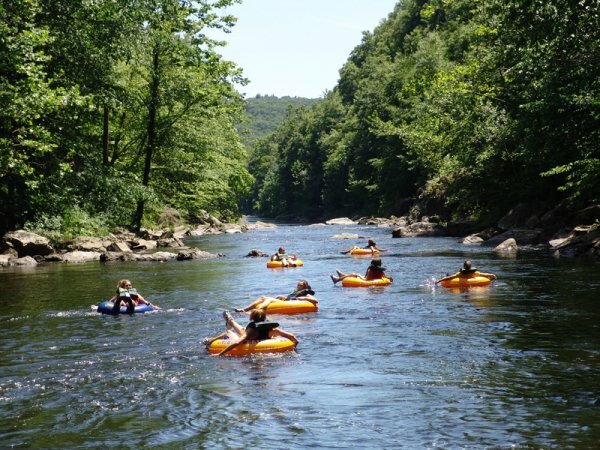 Your trip begins at Abol Bridge Campground & Store where you will pick up your tube and pfd. Then catch our shuttle to bring you up river to the put in site. Your vehicle will be at Abol when you return. Do the trip once or twice, same price. Shuttles leave hourly from 9-4 daily. Enjoy awesome whitewater rafting with class 4 and 5 action in the granite-walled Ripogenus Gorge of the Upper Penobscot River with a series of steep drops followed by pools on the Lower Penobscot section. Float by the base of Mt Katahdin, Maine’s highest peak and the centerpiece of Baxter State Park. In addition to incredible scenery and wildlife, you’ll get a taste of some challenging, technical whitewater rapids similar in size to the infamous Gauley River in West Virginia. The Penobscot offers consistent big-water excitement all season because it’s dam controlled. Surf at Amberjack and swim around in secluded play spots. 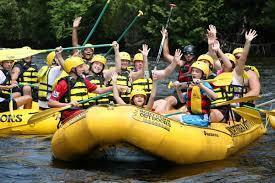 Ages 14-17 raft the Penobscot for Half Price on weekdays, all summer long! Located right in Medway on the East Branch of the Penobscot River. You park your car and pick up your tube and pfd. Then hop on our bus shuttle to transport you up river to your put in site. The trip can be as short or as long as you'd like. From 2 miles to 8 miles long. Do it once or twice, same price.